The collaboration between the two artists Detel Aurand and Isabelle Dyckerhoff on their mail art project “PAPER PROUD” was first realized in 2013 in a daily exchange between Berlin and Munich. 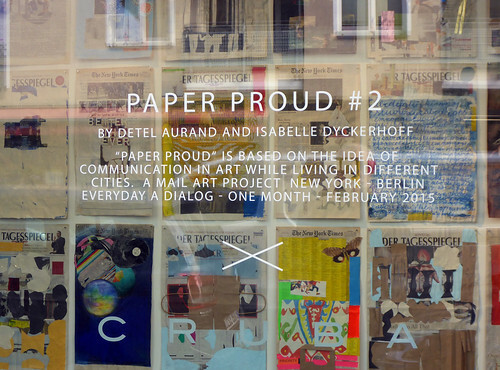 It continued between Berlin and New York in February 2015 with “Paper Proud #2” and a third part followed between Berlin and Reykjavík in June 2015. This entry was posted on Sonntag, September 24th, 2017 at 11:20 am and is filed under Ausstellungen. You can follow any responses to this entry through the RSS 2.0 feed. You can skip to the end and leave a response. Pinging is currently not allowed.